Coated with a performance polymer alloy coating to prevent handling injury. 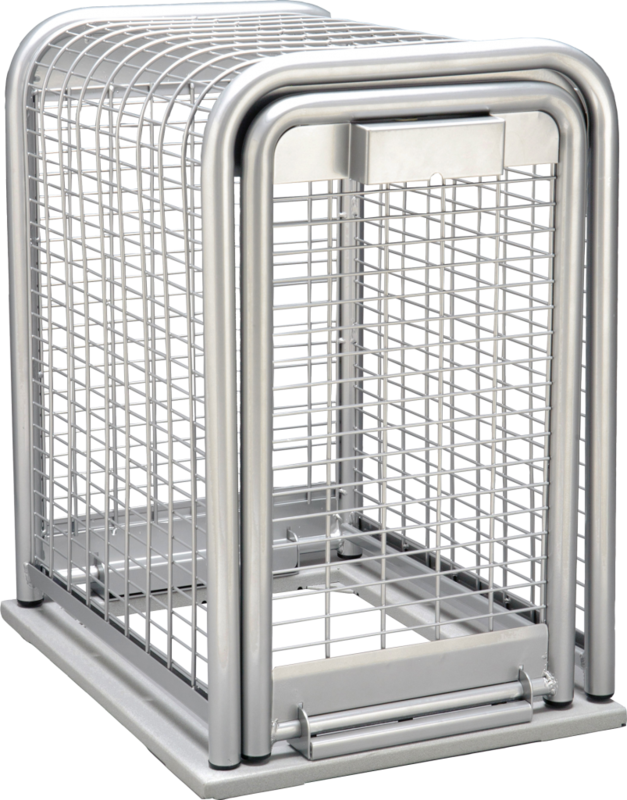 The Backflow cage enclosure shall be of a vandal resistant nature manufactured of formed cold rolled steel tubing and rod, coated with a performance polymer alloy coating. Special powder coated colors available as per specified by city. All locking and mounting hardware shall be manufactured entirely of stainless steel. The frame of the enclosure shall be constructed of one and one quarter inch tubing as a minimum, including the drop down door which inserts into the open end of the frame. The top, sides and end panels shall be constructed of rod forming a one inch by two and a half inch rectangular pattern as a maximum opening. The vertical rods shall be a minimum of three sixteenths inch thick and the horizontal rods shall be a minimum of one eighth. These rods shall be welded together forming grids. These grids shall be welded into the tube frames half inch welds not more than four inches apart. The enclosure door and enclosure shall be cleaned and coated with not less than three mils powder coat. Each enclosure shall have amounting pad which shall be used as installation frame. Enclosure hardware on the mounting frame shall be stainless steel. Mounting frame shall be installed using four each, 3/8” “L” anchor bolts submerged in concrete a minimum two inches. 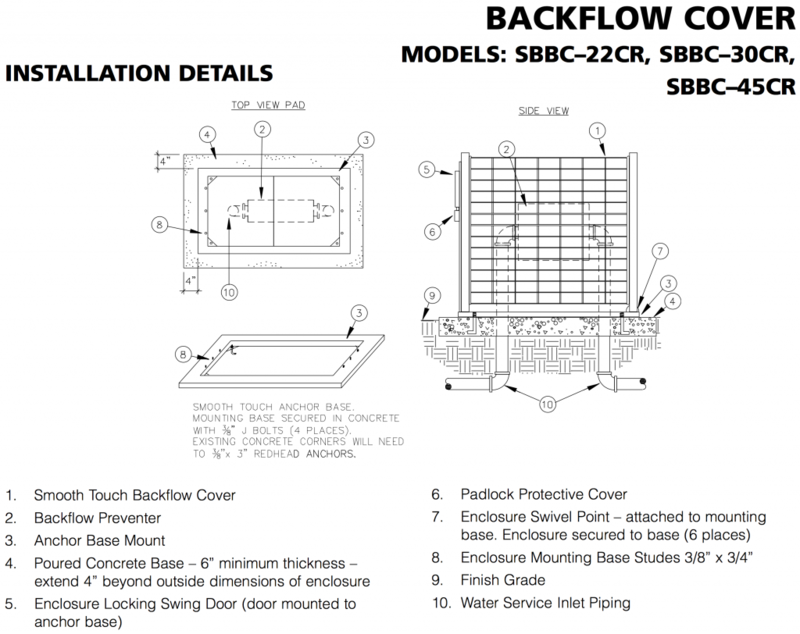 The backflow cage enclosure shall remain bolted to frame in open and closed positions. Enclosure and door shall close with concealed locking tab with seven sixteenths hole to accept padlock.